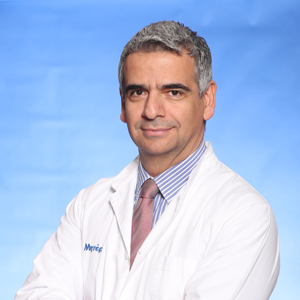 Dr Harry Hiniadis is a Consultant Reproductive Gynaecologist specialised in IVF and gynaecological endoscopy (laparoscopy and hysteroscopy). He is an associate of the “Institute of Life MITERA IVF ”. He specialised in obstetrics & gynecology in the UK for 6 years at esteemed institutes such as: King’s College Hospital, Royal London Hospital, Medway Maritime Hospital, Queen Mary Hospital, and King George Hospital. Whilst at King’s College Hospital, London, Harry was research fellow at the Harris Birthright Unit for Fetal Medicine. At the Université d’ Auvergne in Clermont–Ferrand (France) he obtained the European Diploma in gynaecological endoscopy. He was also trained in IVF at the Reproductive Medicine Unit in Saint Bartholomew’s Hospital (St Bart’s), London. He then went on to obtain the Diploma of Console Surgeon in robotic laparoscopy in Strasbourg, France. 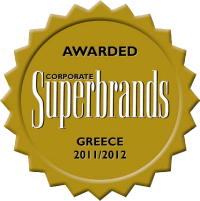 Since 2003 he has been working in Athens, Greece, at the Mitera Maternity Hospital. 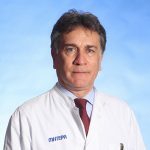 In his role at the “Institute Of Life Mitera IVF Unit,” he performs the whole spectrum of infertility treatment both surgical (laparoscopy & hysteroscopy) and IVF (ICSI, PGS, egg donation, surrogacy), and has treated patients from across the globe who have travelled to Greece in order to achieve a pregnancy. Is postponement of tubal patency investigations evidence–based?